Some sloppy bones done in Blender. 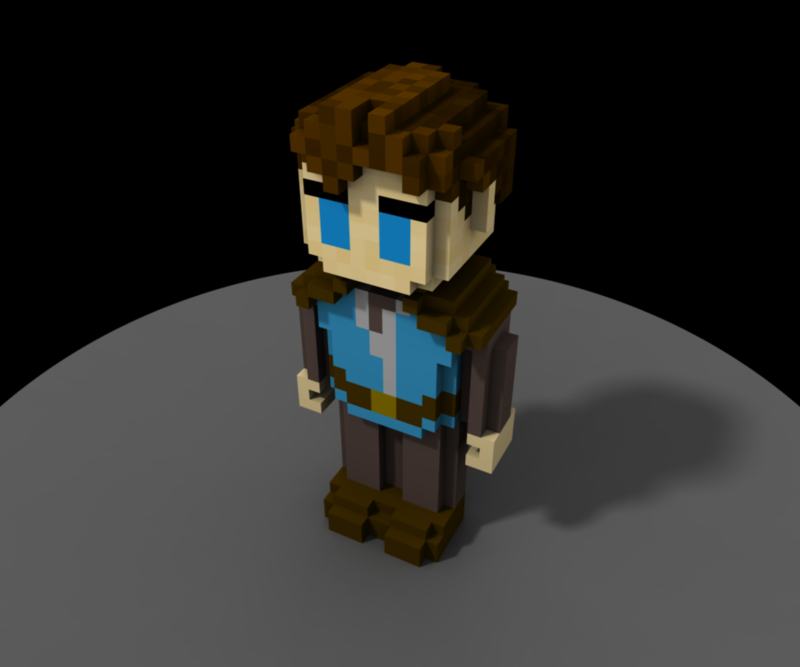 Well, here he is, my first full voxel character. 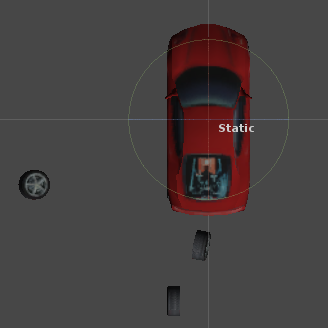 Built in Qubicle, but rendered in MagicaVoxel. 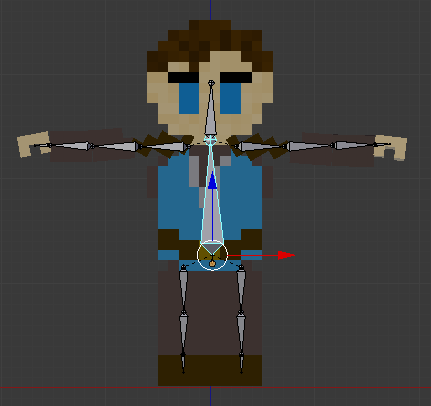 He’s split up into sections so I can add bones for animation.